Is Sheriff Irwin Carmichael the last conservative Democrat in Charlotte? When Sheriff Irwin Carmichael launched his re-election bid late last year, one of the first fundraisers he announced was a gun raffle. A $50 ticket — or three for $100 — would give donors a chance at everything from a Glock 9-millimeter to a Bushmaster Quick Response Carbine Semiautomatic Tactical Rifle. “I support the Second Amendment and I got a lot of supporters who support the Second Amendment,” Carmichael told WSOC when the raffle was introduced. This wouldn’t necessarily be unusual, except for two details: Carmichael is the Democratic candidate. And this is Mecklenburg County, the most urban part of North Carolina. The raffle was canceled in the wake of the mass shooting in Florida that killed 17 people. But it highlights one of the most striking oddities in local politics. Even as the conservative Southern Democrat has all but died out in North Carolina, they’ve somehow managed to hold onto power in the state’s largest county. Carmichael, a Mountain Island Lake resident and retired firefighter, became just the latest in a line of them when he was elected in 2014. In public appearances, he comes across as on the rightward side of the political spectrum — though he sticks mostly to nonpartisan public safety issues. Carmichael speaks about gangs as super predators and defends the 287(g) program that teams the sheriff’s office with federal immigrations enforcement agencies to deport undocumented people. 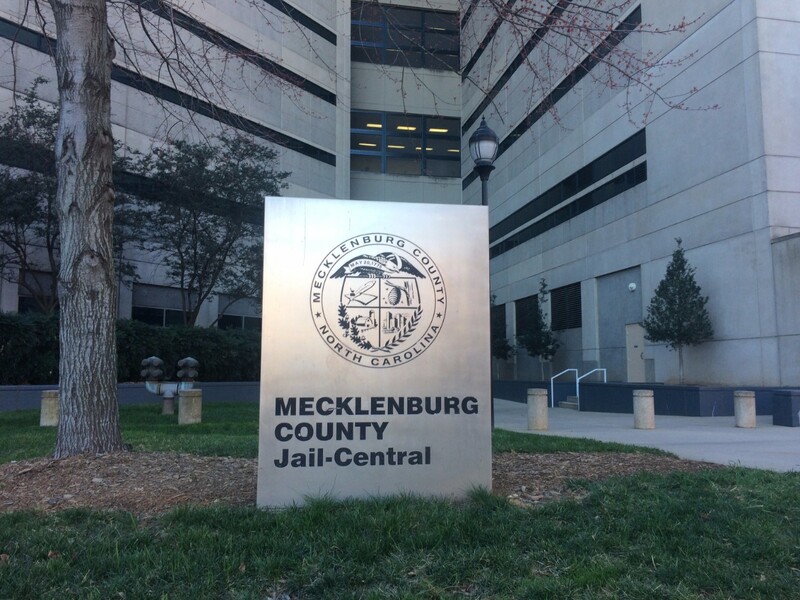 Mecklenburg’s program has been criticized for going beyond targeting violent offenders. 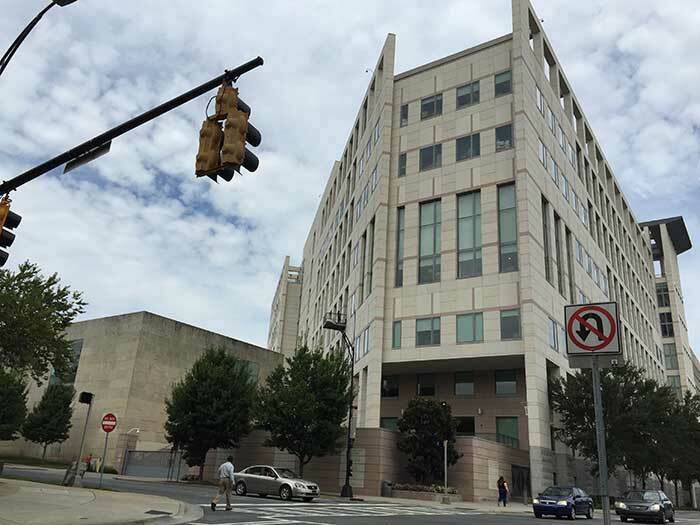 The politics of it all are as unusual as the Mecklenburg County sheriff’s job. With Charlotte dominating most of the land area and the suburban towns taking up most of the rest, there’s little for the sheriff’s office to patrol. The main job of the sheriff’s deputies is to manage the jails and secure the courthouse. 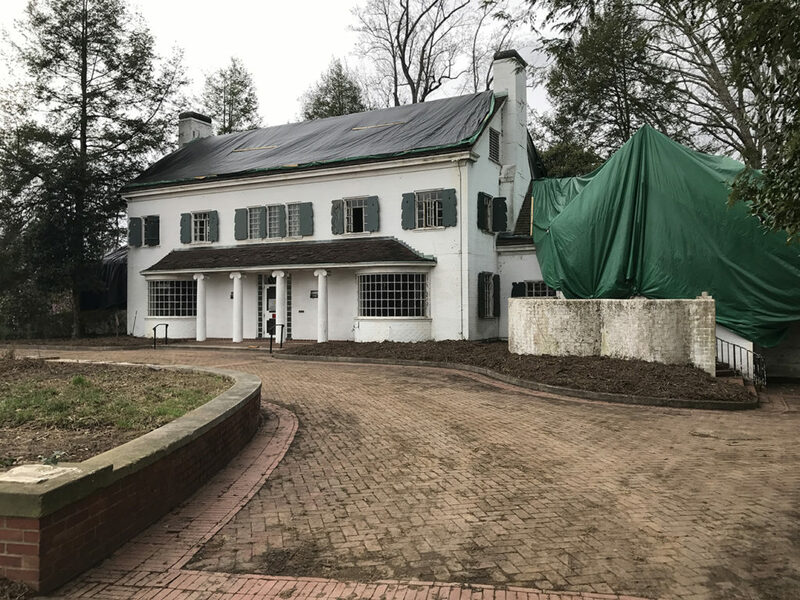 Though one of Carmichael’s predecessors switched parties to run for office as Republican, Carmichael rebuffed the suggestion that he would consider doing the same. Conservative Democrats? 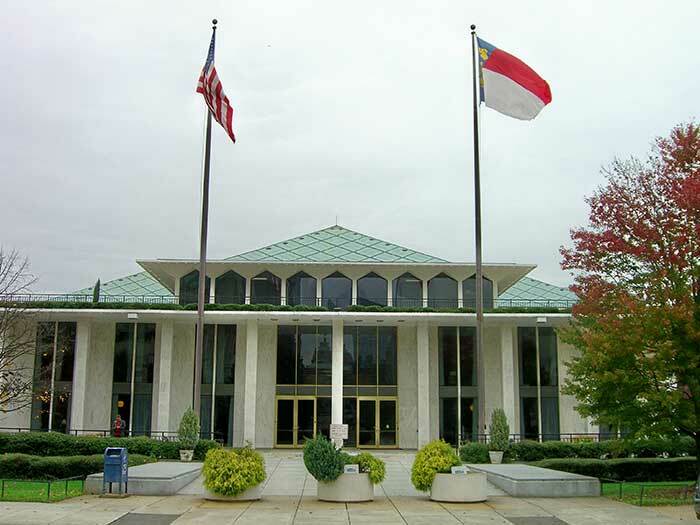 Here’s a quick North Carolina politics backstory. Like in most Southern states, the Democratic Party dominated North Carolina’s government for decades beginning around 1900, after seizing power from African-Americans and populist white people united under the fusionist Republican ticket. Democrats in those days were the conservative party, and Republicans practically nonexistent. That began to change during Richard Nixon’s presidential campaign in 1968, when his “Southern strategy” pulled away some Southerners to his Republican ticket by opposing forced busing for desegregation. This is when conservative giants like U.S. Sen. Jesse Helms became Republicans. Still, Democrats held onto power in North Carolina even as the state flipped red in national contests. In the 1980s, more conservatives began to change parties as Gov. Jim Martin won support for limited government and lower taxes. The big switch finally arrived in 2010. For several years, the Democratic Party had begun to move leftward politically as leaders like N.C. Sen. Tony Rand and N.C. Sen. Marc Basnight aged out. Republicans captured the General Assembly in 2010 and haven’t given it up since. Democrats are now clearly the left-wing party, and Republicans on the right. The Mecklenburg County sheriff’s office never got the memo. And it developed its own internal political ecosystem based in northern Mecklenburg County. The story really begins with Sheriff C.W. Kidd, who grew up in the Long Creek area, served in the Air Force during World War II, created the Rockin K. Ranch on Miranda Road and took over the sheriff’s office in 1983. Democrat Jim Pendergraph served as deputy chief in the Mecklenburg police department before unseating Kidd in 1994. Pendergraph served four terms, took steps to professionalize the department and implemented the 287(g) program. He left the office in 2007 when the Bush administration tapped him for a federal immigration job. That didn’t last long, and soon he was back in Charlotte. He soon switched parties and ran for county commissioner (successfully) and later U.S. Congress (unsuccessfully) as a Republican. 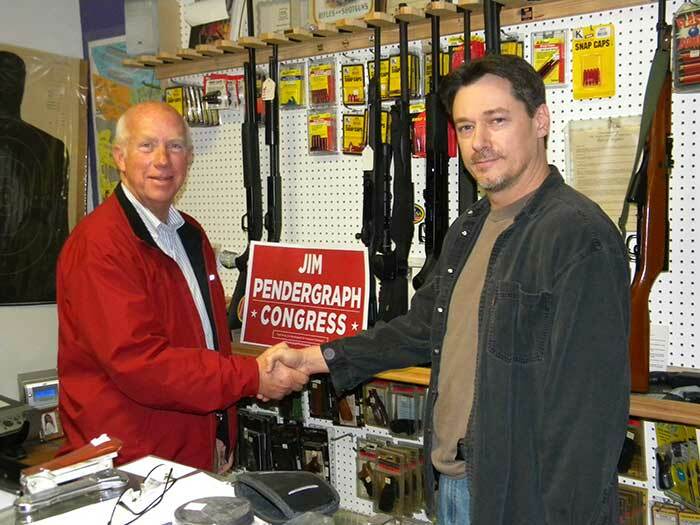 Jim Pendergraph, left, while running for Congress in 2012. Photo via Facebook. Chipp Bailey replaced Pendergraph in 2008 after years under his wing as deputy sheriff. Bailey was selected by the Democratic Party in what became a contentious process in which the selection of an African-American candidate (supported by liberal factions of the local party) was overturned. Bailey later won re-election as a Democrat to hold the office until 2014, when he decided not to run again. Bailey got into legal hot water when he was sued by several former deputies claiming they were fired because they would not contribute to Bailey’s campaign. Carmichael came up in that political environment. He served as a reserve in the sheriff’s office since 1986 and carried the endorsement of both Pendergraph and Bailey. Why does Carmichael continue in the Democratic Party? Carmichael did not say whether he considers himself a conservative or out of place in his party. Instead, he highlighted his work over the past four years — including saving $10 million in tax dollars — and touted his office for operating the only fully functioning high school in a jail setting for 16- and17-year-olds. If he were to feel adrift from the party line, he would have plenty of good reasons to maintain the Democrat label. While the conservative Democrat has all but died out in elected office in North Carolina, they still exist on the voter roll — the so-called “Jessecrats,” named for Helms. This helps explain why registered Democrats far outnumber Republicans and unaffiliated voters statewide while Republicans dominate elected office (it’s not just gerrymandering). At the same time, Democrats have a huge majority across the county, and winning Charlotte-wide or countywide office is difficult for Republicans, as last year’s municipal elections showed. Mecklenburg County Democrats have also been more willing to support conservative members of their party in law enforcement and military positions while choosing more liberal members for other positions, said county commissioner Jim Puckett, a Republican who represents northern Mecklenburg County. “So Irwin as a moderate- to conservative-leaning Democrat gets to benefit from the sheer democratic demographics and picks up those who instinctively lean towards conservatives for law enforcement,” Puckett said. Even as Democrats maintained control of the office, the local Democratic establishment moved away from this line. The Black Political Caucus — a traditional Democratic stalwart — endorsed Republican candidate Chris Hailey in 2014, the last time the office was on the ballot. Hailey is black. 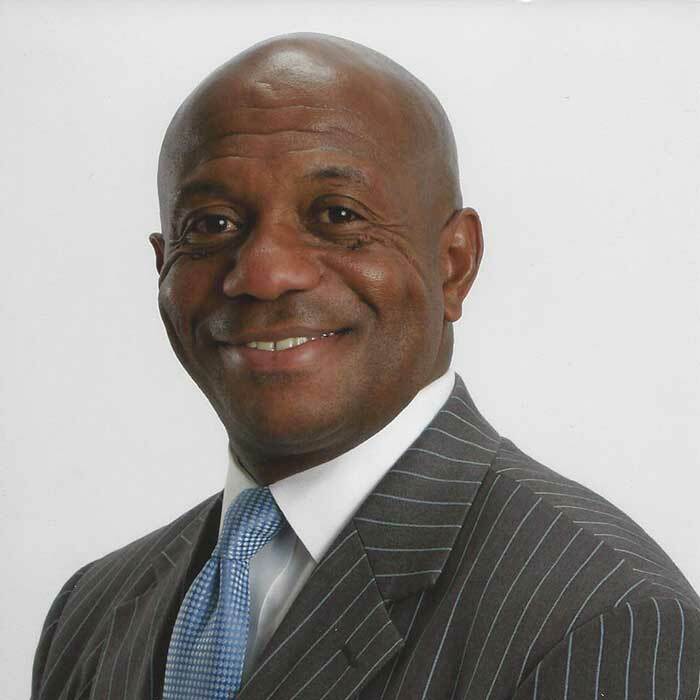 And a high-profile Democrat — retired Charlotte-Mecklenburg Police Department homicide detective Garry McFadden — has already filed in this year’s sheriff’s race. McFadden has more orthodox Democratic policy positions, including opposing the 287(g) program. He co-founded the renowned “Cops & Barbers” program credited with improving relationships in the community, and was invited to the White House by President Barack Obama. He’s already been backed by Colette Forrest, former chairwoman of the Black Political Caucus. It also doesn’t hurt that he’s starred on a reality TV show and has great name recognition. 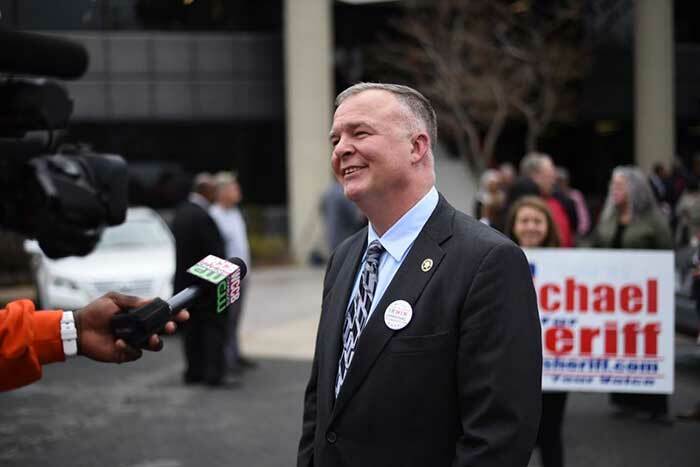 McFadden would not say whether he was running to the left of Carmichael, or if his opponent’s conservative stances presented him an opportunity. How will voters interpret the differences between the candidates? Time will tell. Will it be enough to break the conservative Democrat stranglehold on the office? It very well could be. And thus would end another chapter in North Carolina political history.